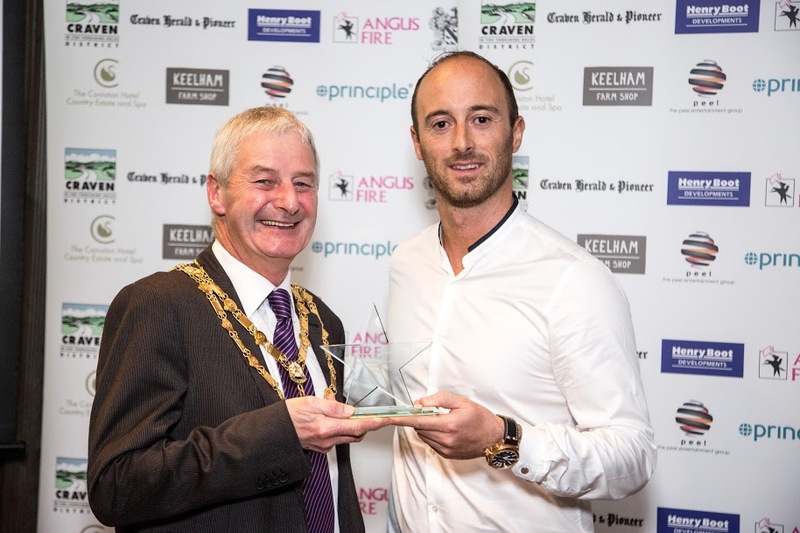 Skipton Tennis coach picks up award! Home / Community / Skipton Tennis coach picks up award! Adam Cox, Head coach at Skipton Tennis Centre was recognised for his fantastic work in the community by being presented with the Sport and Recreation award at this years Craven Community Champions. Adam is involved with many Skipton and Craven district schools, and organises junior and adult tennis sessions on a weekly basis. He is full of energy and passion for tennis. When he took on tennis at Skipton, the previous tennis club had folded, the courts were out of action, overgrown with weeds, and a lot of investment was needed. Almost 10 years ago, he put his money where his mouth is, mortgaged his home and kick-started tennis again in Skipton. Membership has continued to grow. The membership and pay as you go rates are kept low to encourage participation and to ensure that tennis is affordable for all. He treats every single person as an individual and always has time to listen and talk to members on any matter, no matter what their age or tennis ability. Not only is he an excellent coach, he becomes a good friend to members, kids and visitors alike. We are very proud to be club sponsors and it’s brilliant to be able to support all the work Skipton Tennis coaches do in our community.